Comments: The show stopping leaves are giant, deep olive green, heart shaped and have a shiny, metallic or coppery sheen. 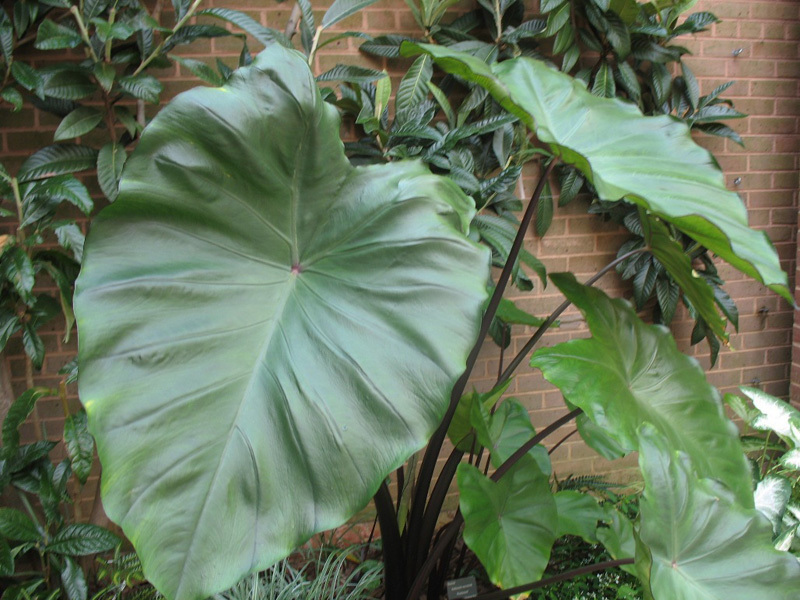 The black petioles are an attention getter of ths species. Is hardy outdoors in zone 7 and can be used as a container plant up to zone 4, provoided its roots protected from freezes.